We urgently need update brochure for our web-based tool. I will supply all materials for brochure. Our artwork team informed that as per your folding sample we need to process this job in A4 size. For that we need to amend the order as A4 Flyers. Please forward the amended artwork in 210 x 297 mm trim to trim + 3 mm bleed ie final artwork size become 216 x 303 mm to process this job. Can you please look at the folds. 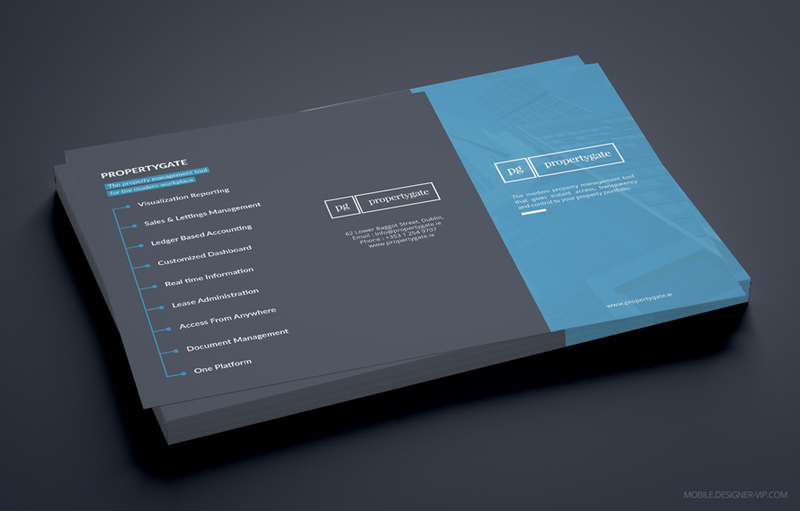 Created high quality brochure for a company with turn round – ~1 day. 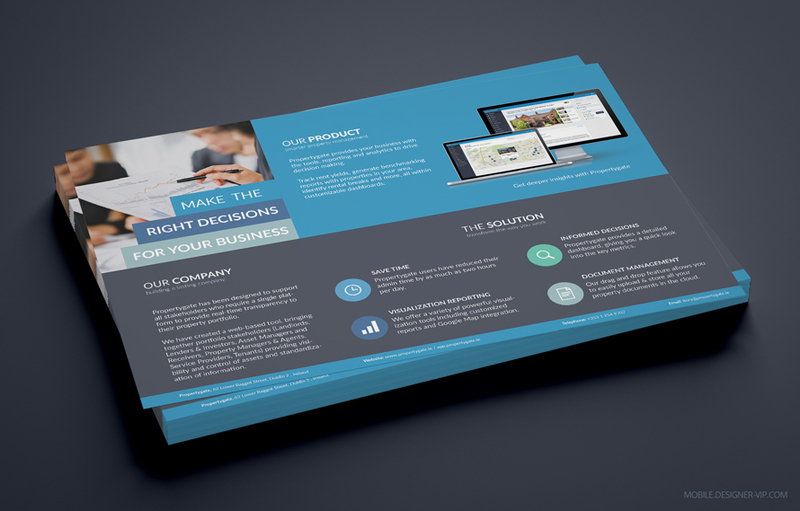 If you need design a business brochure our studio can help. Our software product is a modern property management tool that gives instant access, transparency and control to your property portfolio. Company provides your business with the tools, reporting and analytics to drive decision making. identify rental breaks and more, all within customizable dashboards. Software product has been designed to support all stakeholders who require a single platform to provide real-time transparency to their property portfolio. We have created a web-based tool, bringing together portfolio stakeholders (Landlords, Lenders & Investors, Asset Managers and Receivers, Property Managers & Agents, Service Providers, Tenants) providing visi-bility and control of assets and standardization of information. Our users have reduced their admin time by as much as two hours per day. We offer a variety of powerful visualization tools including customized reports and Google Map integration. Web-tool provides a detailed dashboard, giving you a quick look into the key metrics. Our drag and drop feature allows you to easily upload & store all your property documents in the cloud.